Online swapping in super fun and easy to do. You feel great when you’re generous yourself, and the surprise you’ll get in your own inbox often is better than you could’ve imagined. But of course you’ve gotta be ready to send out your stuff without a one hundred percent guarantee that you’ll get something back. I used to do a lot of swapping over the internet many years ago, when I was new to art and blogging, and the whole thing of “swapping” also was quite new I guess. 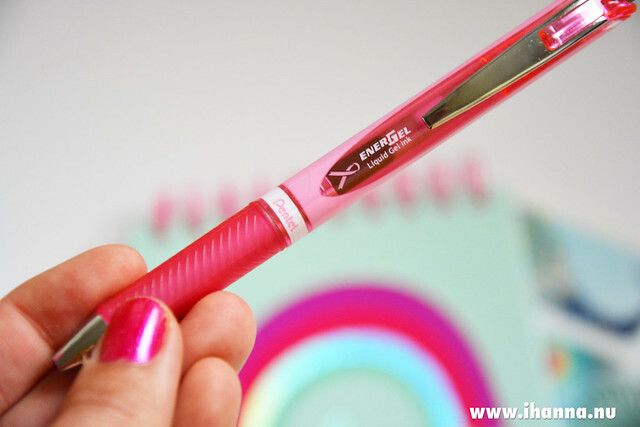 Then a lot of bloggers hosted swaps, and it was easy to come across something you fancied. These days I don’t see much of that, but I know for a fact a lot of swaps happen over on Instagram, that’s where I found the Notebook and Pen Swap I participated in last month. 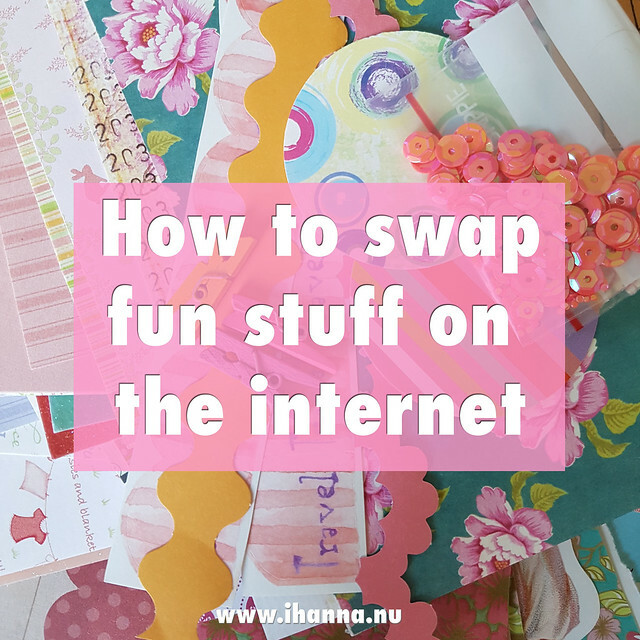 I think most people who arrange a bigger swap has a blog, where the rules of the game are explained, deadlines given and you sign up for it, but you could also do it via Facebook and via e-mail if you don’t have a blog and want to set your own swap up! The bigger your following, the more complicated it gets. That’s why I have a small fee for participating in my twice annual DIY Postcard Swap (sign up for my Newsletter if you want to know when the next one starts), if you think you’re only get a few people signing up it’s easier to take the time to arrange it for free. Here are my advice for joining a swap. Places to look for swaps that might interest you are the blogs you follow, Instagram friends or even Pinterest. If it’s your first time, find a one-to-one swap where you’re sending something to a person that will be sending you something. This feels so intimate and friendly, and if you’re looking for pen-pals or a new friend in another country, you might find one here. I love swaps where you send something handmade, for example, because it also encourages you to be crafty and take time to make something, maybe something you might not have made otherwise? Plus you don’t have to buy something new and spend money. I love swaps where you get bits of this and that from someones stash, for collage or paper crafting for example. Add a personal note with a few words to the recipient, and wrap the goods as best you can. Use wrapping paper, or maybe tissue paper and string, or some special magazine paper that is pretty? 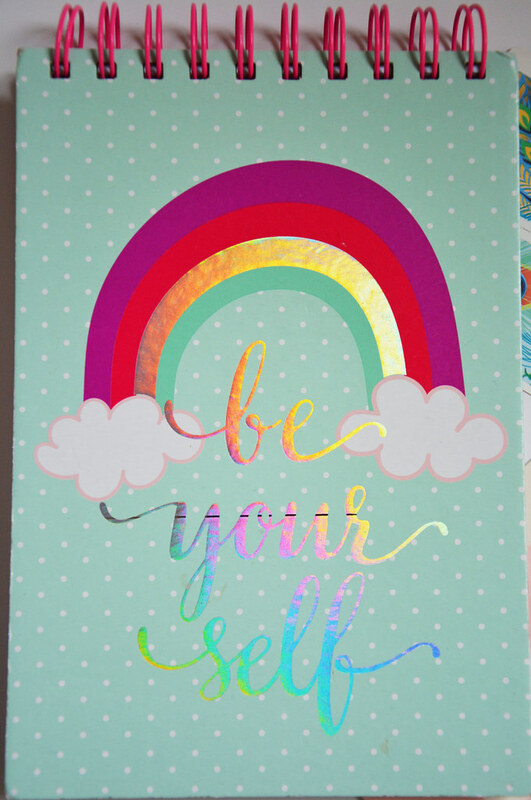 It’s the “little extras” that make mail art and happy mail special, so make sure you put some thought into it. Include a few stickers, a drawing, or maybe some washi tape if it’s a paper swap and some cute ribbons if it’s a fabric swap, and so on. Personally I love when the envelope is decorated and screams “Happy Mail” even before you open it up! Sometimes you will get the cutest stamps form other countries which is a bonus. I’m not always the best person to send a thank you note via e-mail, and sometimes it will take me and embarrassing amount of days until I post that thank you, either via social media or via e-mail (or preferably both), but I always try to do it. I am truly grateful for getting happy mail, what ever it consists of, and a simple, quick Thanks for the postcard or gift, is the least you can do. Thanking the host by commenting on a blog post or Facebook page, for example, is also a nice thing to do. I think that’s it, other than send things you yourself would be happy to receive! You can swap anything from mini quilts, art and handmade jewelry to notebooks, pens or stationary. Look for #swap, #swapping, #penpals or similar tags on Instagram, ask your own Instagram friends to join a swap you set up, or follow people who have arranged swaps in the past (maybe a new one is coming up soon that you can join?). These days I think a lot of swaps are arranged through big, bubbling Facebook groups, and if it’s allowed in the group that might be a good place to ask. I host a DIY Postcard Swap twice each year. The best way to be notified when it’s time to sign up for the swap is by subscribing to The Newsletter. Handmade Mermaid doll – aw, she was so cute. Swap stuff on particular theme and leave it up to the people signing up to interpret that theme. This one was about Mermaids. Treasures in a matchbox – I found it amazing how many cute stuff you can fit into a matchbox. Here the theme was how to package your things (inside one small matchbox). Tiny Book of Fall Zentangles – Make a small book to swap out, one that you can either use, or like this Zentangle one that I got, that is already finished and full of tiny drawings – something you can be inspired by. The Zine Swap – was one of the most fab swaps I’ve ever participated in, because it engaged me enough to make my own zine – and try out a whole new form of expression which I loved! Fabulous Scrap Fabric I got from Sharon in her swap with the same name, where the terms to join was to sew something and blog about it with the fabric you got. I made myself a laptop sleeve that I’m still using. 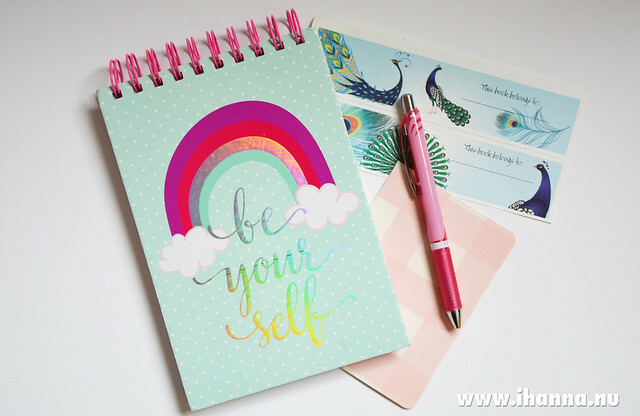 This is what I got in my most recent swap, the Notebook and Pen Swap; a paper pad with rainbow lettering on the cover and white sketchbook paper inside, and a pink Pentel pen with black, yummy gel ink. The reason I started writing about online swapping today was mainly because I wanted to share the cute notebook and pen I got in the Notebook and Pen Swap above. 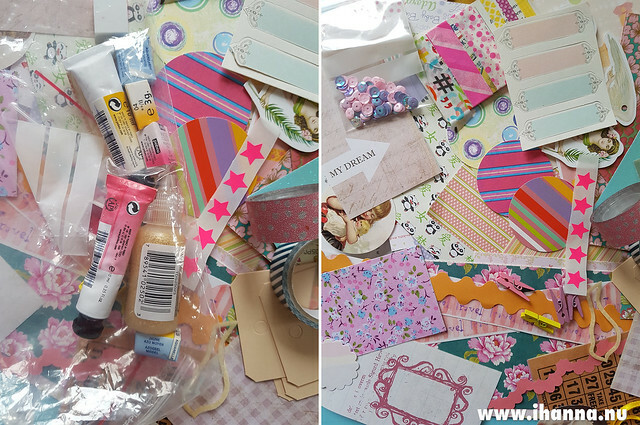 This swap was hosted by Jessica over at the Paper Trail Diary. She has hosted this one before, so maybe she will again in the future. I just got my package from a Maria in the US, and love both the pen and the paper-pad I received. You can also set up, or ask for, personal swaps. 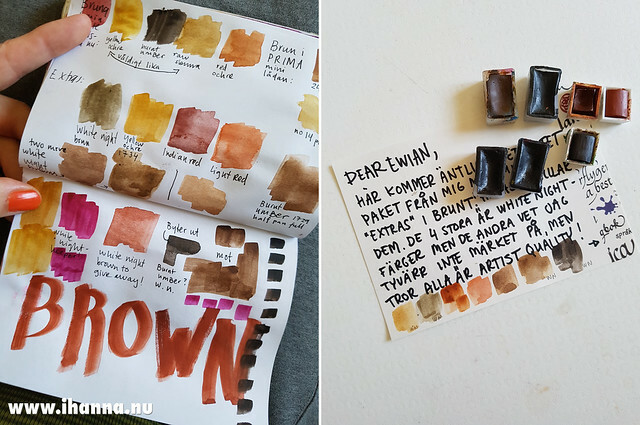 I was filling my watercolor set with new pans and noticed how many browns I had left over, colors I would probably never use up. 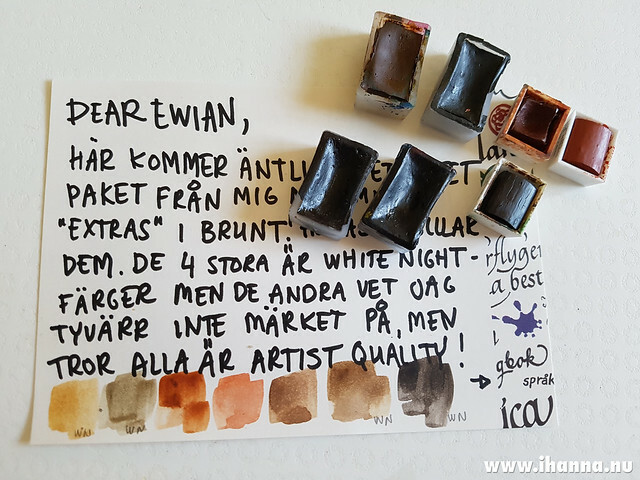 I shared this fact on Instagram and Eli Veronica (Ewian) in Norway offered to swap colors with me, said she would have great use for a few more browns. So I swatched all the browns I had in my tiny journal notebook, and sent her the ones I didn’t think I’d ever need, along with some other fun stuff. Private swaps over the internet are also super fun to do. Swatching brown colors in my tiny notebook, and deciding what to send out in a private watercolor swap. pretty papers, postcards and sequins for my embroidery. Yum! I hope you find your way into the swamp of swaps that exist out there. You just have to dig a bit to find one that you find inspiring enough to join, because it’s of course a bit of a commitment when you sign up, but I think it’s worth it. You get so much back from the swapping community. Let me know below if you have further questions, and remember, what ever you do: Be yourself. Good luck with the online swapping! 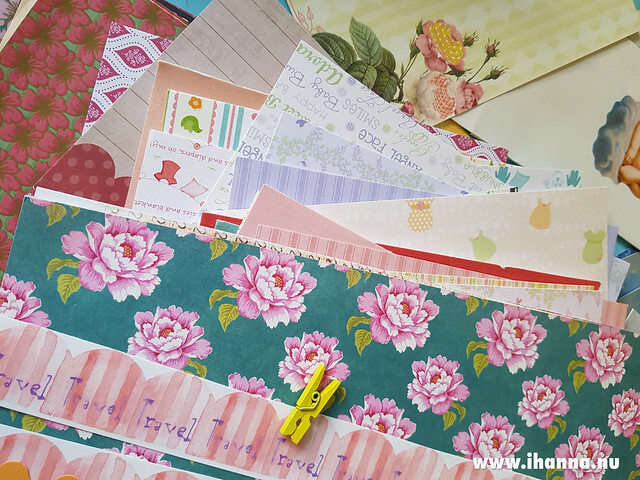 This entry was posted in Mail bliss and tagged happy mail, internet phenomenon, pretty papers, swapping. Bookmark the permalink. Hanna, just wondering if you have or do any swaps at swap-bot? I’ve swapped there for quite awhile though not as much as I’d like to … mine are mostly letter swaps but they also have craft swaps and such. If you’ve never been there, I urge you to check it out, it’s an awesome place to swap at and you can create groups there as well. Would you share some of those blog-hosted swaps with us? I have such an excess of postcards that i would love to share! Gloria, I didn’t mean to imply I’ve got a list of bloggers that host swaps, I mean sometimes you come across them and that’s great. I don’t know anyone other than me that hosts a reoccurring Postcard Swap, but hope you’re joining us this fall. Oh, but maybe you should check out the FB-group Mail Me Some Art, hosted by Karen Isaacson. I think that there might be something for you there? I belong to a secret group on FB where we exchange postcards, ATCs, Rolodex cards and other things using art prompts. You sign up for whatever swaps you want. One of my favorite exchanges had you create a “Reptiles/Amphibians” postcard. I was not going to sign up, but then came upon a great image, and created one of my favorite pieces to date. I’ve been swapping on Mail Me Some Art for 3 years and it’s been such an enjoyable experience.